Human vibration measurement has never been easier with this hand arm and whole body system. 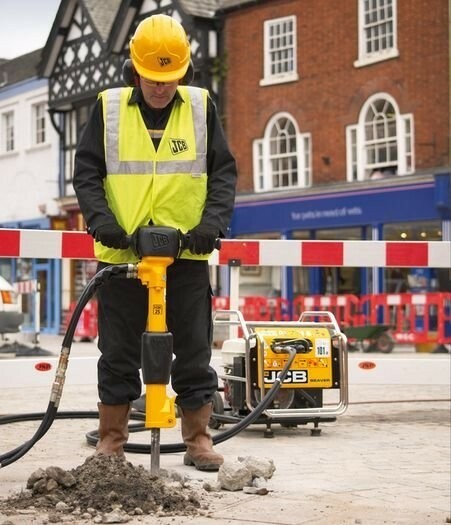 Along with the SV106 six channel human vibration meter and analyser this measurement system can simultaneously measure vibration levels for both hands or tri-axial SEAT transmission. Using the computational power of a digital signal processor the SV106 can measure real-time single and third octave levels along with the required vibration measurements for ISO 2631 and ISO 5349, including RMS, Peak, Peak to Peak, VDV, MTV, A(8) and Dose, with all required weighting filters and band limiting filters for HVM measurements. Built in 16MB non-volatile memory and additional slot for an external Micro SD card (kit is supplied with a 4GB card) can record data for time history logging and time domain signal recording. Results and data can then be easily downloaded to a PC for for analysis. 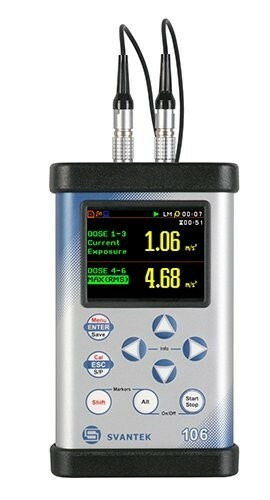 The PC software can even be used to set up the vibration meter prior to use. 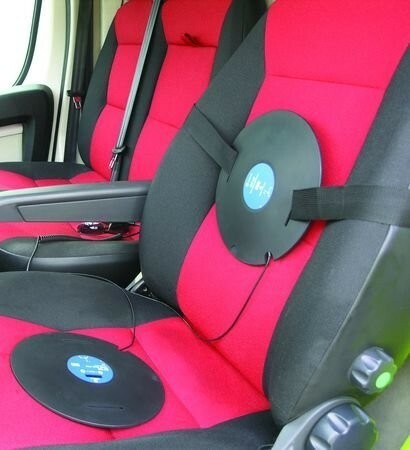 Using the SV38V vibration seat pad makes whole-body vibration measurements easier and can be placed directly on a seat cushion, a floor or fixed to the back of the seat. 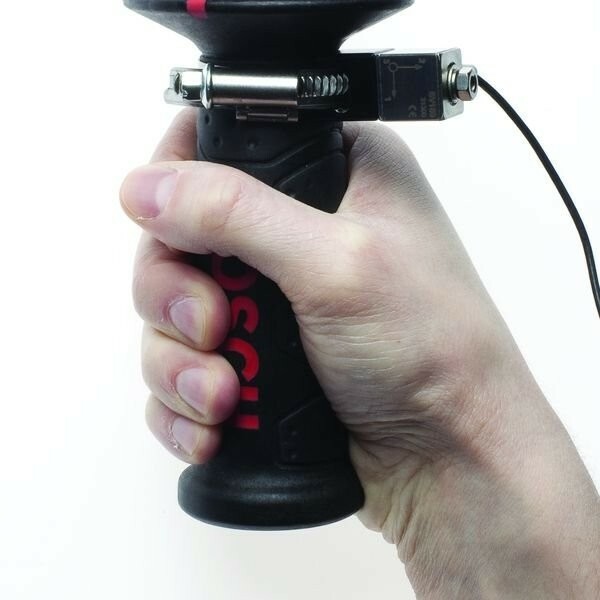 The SV105A tri-axial accelerometer enables easy measurement of hand-arm vibration regardless of the tool being used. 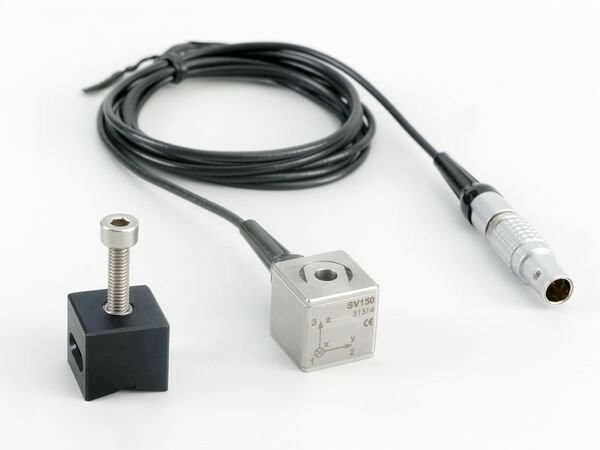 The alternative SV150 or KD1006 triaxial accelerometers are designed for easy direct attachment to tools and equipment being measured. The six channel dual input meter allows for 2 x SV105A, SV150 or KD1006 tri-axial accelerometers to be used to measure both hands simultaneously. 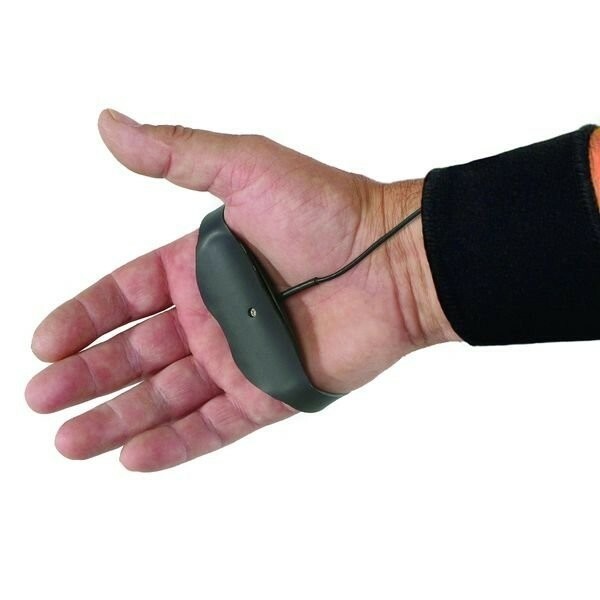 Using a combination of 1 x SV105A accelerometer and 1 x SV38V seat pad accelerometer is also possible providing simultaneous Hand-arm and Whole Body measurements.